Lori Loughlin bonded with her daughter Isabella on Friday amid the fallout of the college admissions scandal, but is still reportedly estranged from her younger daughter, YouTube star Olivia Jade. Loughlin, 54, laughed it up with Isabella, 19, while they waited for their valet to bring their car around. Video captured by TMZ shows the "Fuller House" star and her daughter smiling and chortling loudly in Beverly Hills. Meanwhile, Olivia Jade is reportedly livid with Loughlin and Mossimo Giannulli for their allegedly bribing their daughters&apos; ways in to USC for a cool $500,000 a piece. Loughlin and Giannulli, 55, reportedly paid William "Rick" Singer to get Olivia Jade and Isabella recruited to the USC crew team despite neither girl being a rower. In this Aug. 13, 2017 file photo, actress Lori Loughlin, center, poses with her daughters Isabella, left, and Olivia Jade at the Teen Choice Awards in Los Angeles. 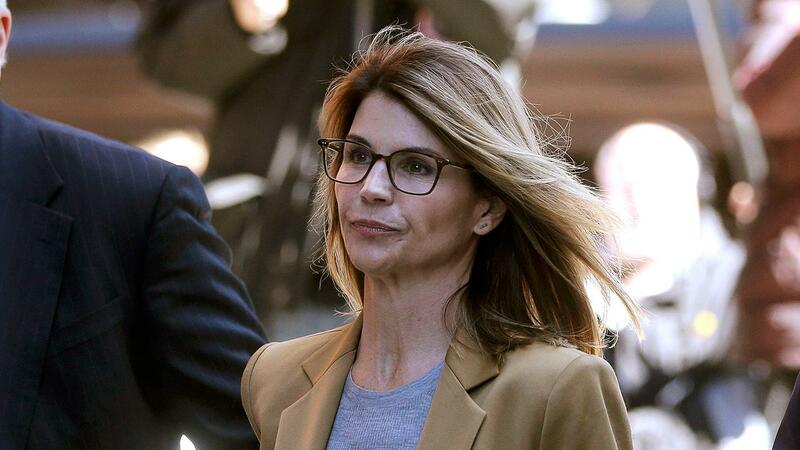 The FBI says actress Lori Loughlin has been taken into custody in connection with a scheme in which wealthy parents paid bribes to get their children into top colleges. FBI spokeswoman Laura Eimiller said Loughlin was in custody Wednesday morning in Los Angeles. She is scheduled to appear in court there in the afternoon. Loughlin and Giannulli were each arrested and released on $1 million bonds. They appeared in court in Boston on Wednesday, where they surrendered their passports. Olivia Jade lost endorsement deals from brands including TreSemme and Sephora after the scandal broke.